Dreamforce is Salesforce’s annual conference in San Francisco. It’s one of the biggest tech conferences in the world and brings together thought leaders and industry trailblazers around the world for four days of inspiration, innovation, and fun. ListEngage will be at Dreamforce in San Francisco this year on November 6-9. If you are going to be there, we’d love to meet up to discuss your digital transformation journey. Sign up to meet with our CEO, or one of our business development executives. Coffee and drinks are on us! With over 1,500 sessions, dozens of keynotes, miles of walking, and four days of networking with potential customers, co-workers, or employers, you’ll need to prepare ahead if you’re going to enjoy everything the conference offers. Don’t Miss Salesforce’s The Road to Dreamforce Series. Salesforce recently kicked off its 5th season of its live-streaming web series, The Road to Dreamforce, which helps attendees prepare for the big event. The Road to Dreamforce covers everything you need to know including transportation, logistics, agenda, sessions, speakers, and more. All episodes of the show are archived and are available for on-demand viewing within 48 hours on the Video tab of Dreamforce.com, YouTube, and on Facebook. You can ask the presenters real-time questions on Twitter by using the hashtag #RoadToDF17. Use Trailhead to Get Ready for Dreamforce. Salesforce has released an entire Trailhead Trail devoted to getting attendants Dreamforce ready. If you’re strapped for time and can’t watch the Road to Dreamforce web series than completing the Get Ready for Dreamforce Trail is a great alternative method of preparing for Dreamforce. In about 30 minutes you can learn everything you need to know about Dreamforce and develop a game plan for the event. Join the All Dreamforce group on the Salesforce Success Community. The All Dreamforce Group is the place to go to ask any questions you have about Dreamforce. Here you’ll get access to helpful resources, learn what you need to know, and connect with other attendees. Dreamforce is the largest certification event of the year. So if you’ve been wanting to get Salesforce certified, now is a perfect time to do it. If you start preparing for your certification exams now you will be ready to get certified at Dreamforce. Try these tips to help get you ready. Good luck! Review content from last year’s Dreamforce. Get an idea of what you’re in for this year by reviewing last year’s Dreamforce content. Content from Dreamforce is available year round here. Learn more about Salesforce products. It’s a great idea to learn more about Salesforce’s products before attending Dreamforce. That way you know what you’re most interested in learning about while you’re there. Stay up to date on the latest product innovations and features here. The weather in San Francisco can change quickly, so make sure you’re prepared by packing comfortable and versatile clothing. Salesforce offers great tips on what to pack in their Get the Most out of Dreamforce trail on Trailhead. Last year over 171,000 people, from 83 countries, registered to attend Dreamforce in San Francisco while over 15 million people joined in online! This year 2,700+ sessions are planned to help professionals in every industry succeed. Join ListEngage along with other trailblazers and the rest of Salesforce’s Ohana including customers, partners, employees, and more for an unforgettable experience you won’t want to miss! With less than 4 days to go, we’re counting down the days until we see you in San Francisco! See you there! If you’re unable to attend, you can catch it live at Salesforce LIVE where Salesforce will be streaming keynotes, sessions, and other important moments throughout the event. 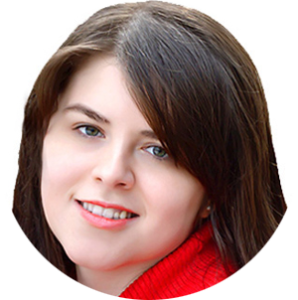 Iva Karcevski is a Digital Marketing Specialist at ListEngage. She has a degree in Marketing and is certified in Google Analytics and AdWords. Iva has specialized in marketing for small businesses with an emphasis in branding, website development, and social media. Iva is also a photographer and is passionate about design and imagery. She also creates and curates content and writes articles for ListEngage and several of its clients. Her main focus at ListEngage, however, is managing the company’s social media marketing.